One thing I couldn’t say is how people started lining dominoes up to start a chain reaction that knocks them all over, but it’s this use of the tiles that’s come to be used in modern expressions like “domino effect.” During the Cold War, the Domino Theory held that, unless countered with military force, communism would spread across the world like falling dominoes. As for Domino’s Pizza, their first location was originally called DomiNick’s, and founder Tom Monaghan derived “Domino’s” from that. He had apparently wanted to add a new dot to the logo for each new location, but soon found that totally impractical. The business grew at a rapid pace, based on its strategy of selling pizza that isn’t particularly good. Mediocre food does often seem to be the key to success in the restaurant industry. 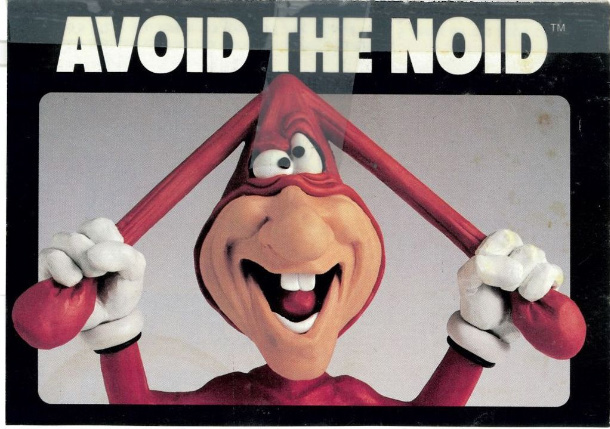 Domino’s also had the Noid, but he apparently retired some years ago. I believe he has an entry in the Necromicon, but back when that was written, he destroyed falafel. This entry was posted in Dominoes, Games, Tiles and tagged cold war, domino effect, domino theory, domino's pizza, noid, tutankhamen. Bookmark the permalink. Keep at least one of each number. This will give you a sense of ‘variety’ and stop you from drawing from the boneyard or passing turns.